What most of us don't fantasize about though, is setting ourselves on fire for a whole two minutes and 39 seconds without a breathing apparatus! That can only be one daring man's dream. Vancouver stuntman, actor and filmmaker Colin Decker will be attempting the fire stunt Sunday afternoon at an undisclosed Burnaby film studio. His goal is to beat the current record of two minutes, 38 seconds, held by American stuntman Ted Bachelor. 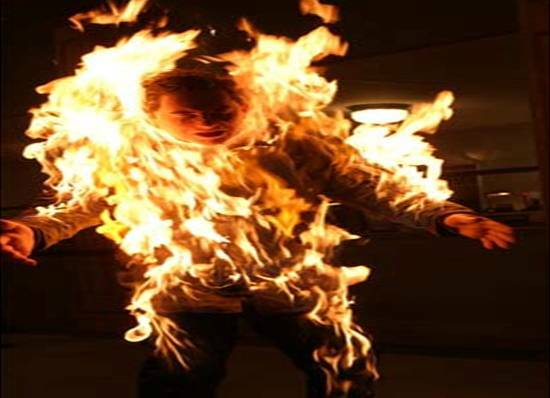 He will be using a special fire-barrier gel that he and his Fire 4 Hire business partner, fellow stuntman Dustin Brooks, invented in their quest to become the living Burning Man. The gel has been used on numerous films and TV shows, including Watchmen and The Mummy. But they're not too worried about any accidents happening, having experimented with the gel over the years with countless different flammable products. Well, we wish Colin Decker all the best and may he come out of the stunt unharmed and unburned.